‘The Ivory Game’, an outstanding feature documentary about the illegal ivory trade, was just honoured as ‘Best International Feature Documentary’ by China’s Beijing International Film Festival. The film was produced by Viennese production company Terra Mater Factual Studios. Beijing/Vienna. The world’s primary player in the global illegal ivory trade, China, has made a profound decision: to honour ‘The Ivory Game’ with the prize for ‘Best International Feature Documentary’ at the 2017 Beijing International Film Festival. ‘The Ivory Game’ traces the brutal machinations behind the multi-million dollar illegal trade in ivory, going undercover to expose the web of criminals from poachers to businessmen involved in the slaughter, export and processing of the tusks of the endangered African elephant. It is an impressive success for the whole production team of Viennese company Terra Mater Factual Studios both from a filmmaking and a political perspective. Already, shortly after the film’s global release, China announced the official ban of ivory trade by the end of 2017. 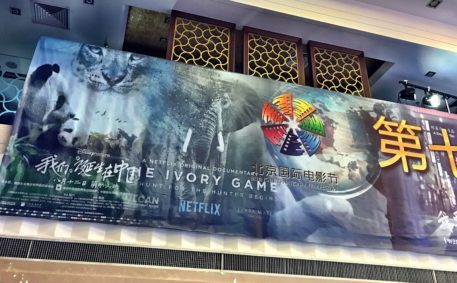 The Chinese jury members were unanimous in their decision to honour ‘The Ivory Game’ with the ‘Best International Feature Documentary’ award; citing the production’s “dramatic composition, editing, camera and the positive impact which the film is bound to have on its viewers”, as strong foundations for their choice. And the competition was strong. The film was up against some of the most outstanding documentaries from 2016 including Life Animated, Gleeson and Fire At Sea. In the festival’s advance, a very successful screening at Beijing’s National Library took place; followed by multiple well-attended screenings in the city’s cinemas as well as a special screening at the American Embassy. ‘The Ivory Game’ was shot in Kenya, Tanzania, Uganda, Zambia, Hong Kong, China and Vietnam. It is a production of Terra Mater Film Studios with Vulcan Productions, a company of Microsoft-Co-Founder Paul Allen, and in association with Malaika Pictures and Appian Way, the production company of Leonardo DiCaprio. 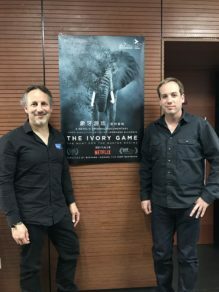 Allen and DiCaprio act as Executive Producers for ‘The Ivory Game’. Award-winning director Richard Ladkani and Academy Award–nominated director Kief Davidson filmed undercover for 16 months. With a crack team of intelligence operatives, undercover activists, passionate frontline rangers and tough-as-nails conservationists, they infiltrated the corrupt global network of ivory trafficking. Global distribution rights have been exclusively obtained by Netflix. ‘The Ivory Game’ is available in 190 countries in 19 languages.